I was a bit disappointed in the market today, I was hoping to find lots of people interested in the seed potatoes but hardly anyone was interested. I didn't sell a single bunch of Vivid choi either. Next time I will have to ask people why they are not attracted enough by this choi to buy it. This is very puzzling to me as it is so colourful and interesting. At least I got rid of all the amaranth, and of course the snow peas.. 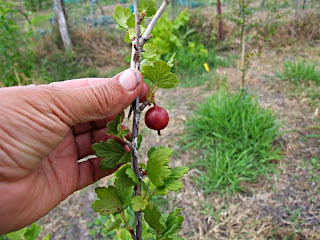 Some time ago I told you how the cherry trees and gooseberry bushes didn't set fruit this year, well...I did lie a bit. I did get one lonely fruit. 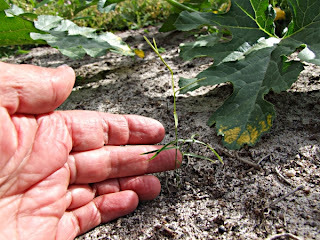 I waited till it was nearly ripe and took this picture yesterday hoping it would be ready to eat today. On a brighter note, my rosella plants are doing wonderfully, even with the cool weather. I am impatient to see if they do well here. 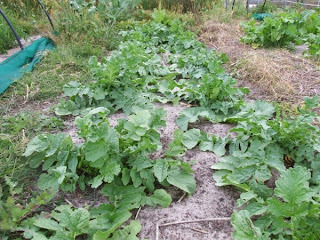 I can see them about to put on their vigorous growth so I don't think it will be too long before they start to flower. They didn't come up, so early last month I planted some zucchini in the bed instead. A couple of weeks ago I noticed that 5 wombat berry seedlings were poking through the soil so I hope the zucchini don't overgrow them as I am too afraid to transplant the berry vines. Wombat berries produce berries that are edible but not very good by all accounts but they also produce tasty tubers. 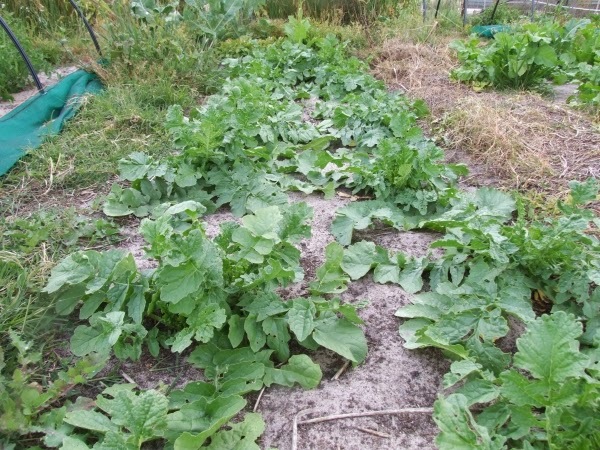 Apparently one researcher has mentioned in the past that they might make a good garden edible if someone had the time and energy to spend on selecting them for good tuber growth. It is a twining vine so might go well on a trellis. I would like to grow it on shrubs but that would make it awkward to dig the tubers.